PlayGround Blog: Film Fest Competition: Deadline Extended! The deadline for the 3rd PlayGround Film Festival competition has been extended. 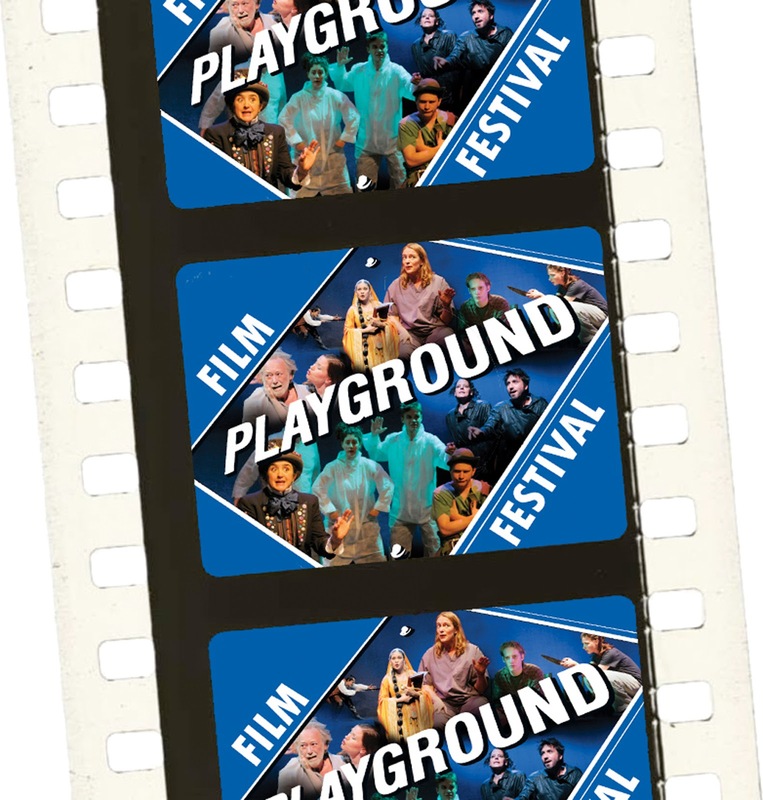 The new deadline is Monday, September 16 and selected filmmakers/films will be announced on September 23 at the PlayGround Season Kick-Off and rescreening of the 2nd PlayGround Film Festival. On the heels of opening of the second PlayGround Film Festival this week, PlayGround announced today the guidelines for the third annual PlayGround Film Festival, to be produced in association with Dances with Light and local filmmaker Barry Stone. The competition, open to teams of local filmmakers and playwrights, will award $1,500 in seed funding to each of six finalists to create short films adapted from some of the 116 award-winning short plays originally premiered in the celebrated Best of PlayGround Festival. The films will be screened in San Francisco, Berkeley, Palo Alto and San Rafael as part of the 18th annual PlayGround Festival of New Works, taking place in May 2014. The deadline for completed applications is September 16, 2013 (Revised Deadline). Guidelines and copies of the eligible plays are available online at http://playground-sf.org/filmfest/2014competition.shtml. Since 1994, PlayGround has been a leading incubator for some of the Bay Area’s most promising new playwrights, premiering 116 original short plays by 61 Bay Area emerging playwrights from several thousand submissions through its Monday Night PlayGround staged reading series and Best of PlayGround Festival. PlayGround has also commissioned 48 new full-length plays and supports the premiere of many of these works in partnership with Bay Area theatres through its innovative New Play Production Fund. PlayGround alumni include a who’s who of the Bay Area’s best up-and-coming writers, including Peter Sinn Nachtrieb, Aaron Loeb, Garret Jon Groenveld, Lauren Yee, Katie May, and Ken Slattery, among others, with many having their first professional production through PlayGround. 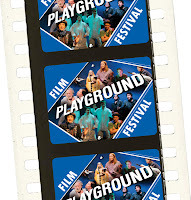 In support of these writers and the body of work they have generated over the past nineteen years, and to encourage collaboration between local filmmakers, actors, writers and technicians, PlayGround launched the PlayGround Film Festival. The first festival was presented in May 2012, with screenings in Berkeley, San Francisco, and San Rafael, and featuring Jonathan Luskin’s Ecce Homo, Katie May’s Etymology of Zero, Kenn Rabin’s Reunion, Daniel Heath’s Wednesday, and Tom Swift’s The Beginning, winner of the inaugural People’s Choice Award. The second PlayGround Film Festival opened on May 1, 2013 at the Rialto Cinemas Elmwood and will be screened in Berkeley, San Francisco, Palo Alto and San Rafael through May 25. The film festival features Jonathan Luskin’s Aegis, Sean Owen’s Climax, Kirk Shimano’s Miss Finknagle Succumbs to Chaos, Geetha Reddy’s Obit, Garret Jon Groenveld’s The Secret Life of a Hotel Room, and Diane Sampson’s Undone. Since its founding in 1994, PlayGround has staged more than 650 original ten-minute plays by 185 early-development writers, contributing towards its status as the leading developer of short stage pieces in the Bay Area. Through the PlayGround Festival, PlayGround has premiered 116 original short plays by 61 Bay Area playwrights and has presented staged readings of 48 new full-length plays commissioned by PlayGround. In the process of staging those works, PlayGround has helped to identify some of the most promising new local writers and, at the same time, has engendered a true community of theatre artists by bringing together hundreds of Bay Area actors, directors and playwrights. Most, if not all, of the participating writers receive the first professional staging of their work through PlayGround, thereby formally introducing these new talents to the professional theatre community. For guidelines and a complete list of eligible plays, visit http://playground-sf.org/filmfest/2014competition.shtml. For more information, contact PlayGround Artistic Director Jim Kleinmann at jim@playground-sf.org or (415) 992-6677.